Hurricane Michael made landfall along the Florida panhandle near Panama City on the afternoon of October 10, 2018 as a high-end Category 4 hurricane. 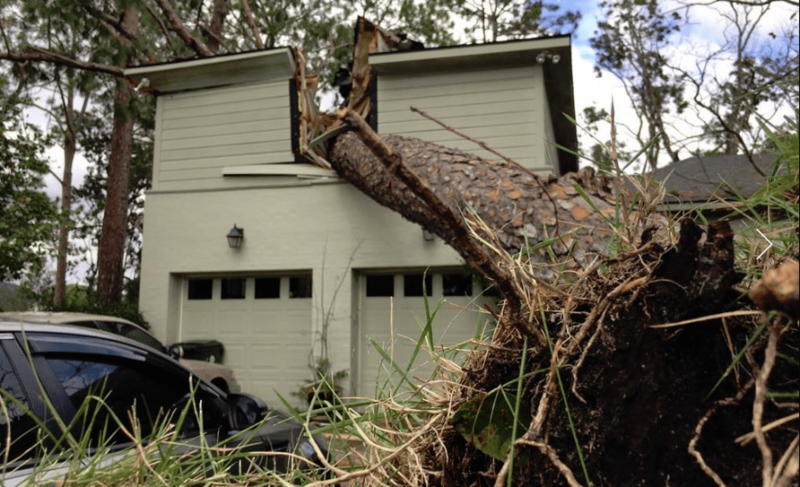 Michael then moved rapidly inland, causing widespread wind damage along its path. 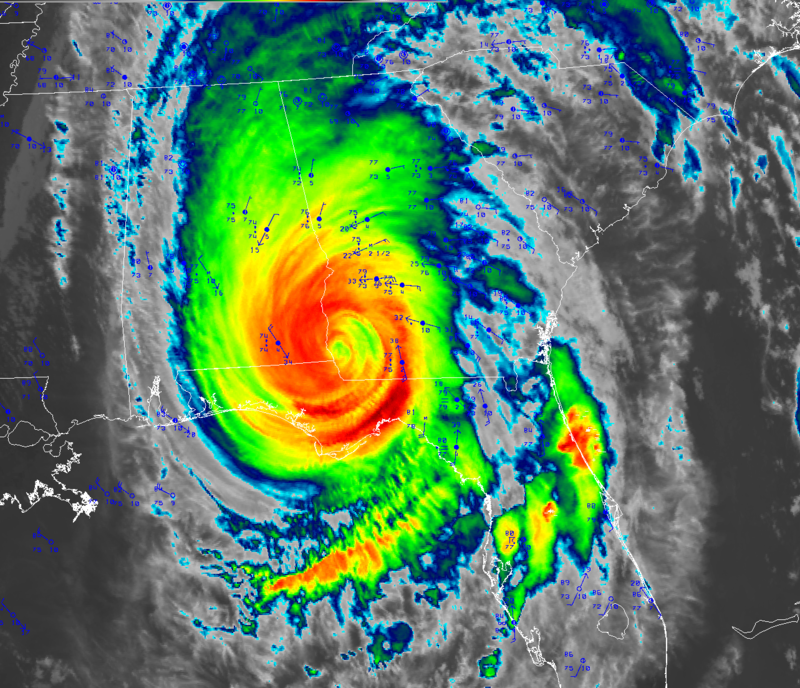 Hurricane Michael was the strongest hurricane on record to make landfall along the Florida panhandle as well as the first major hurricane (Category 3+) to directly impact Georgia since the 1890s. 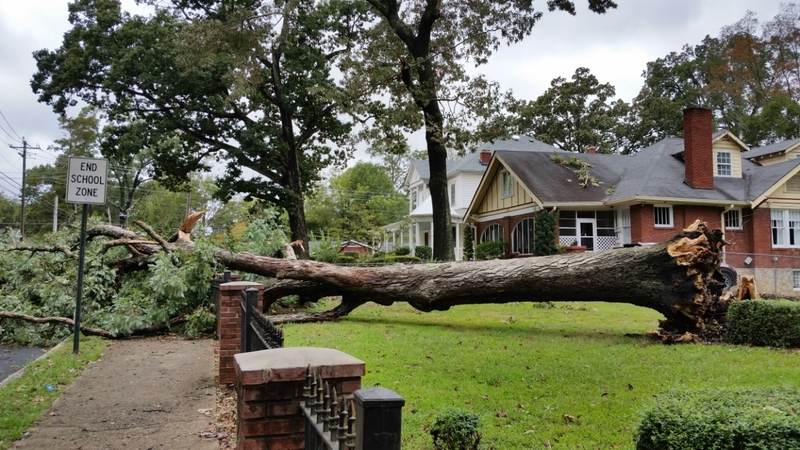 In southwest Georgia, wind gusts as high as 115 mph were recorded in Donalsonville. 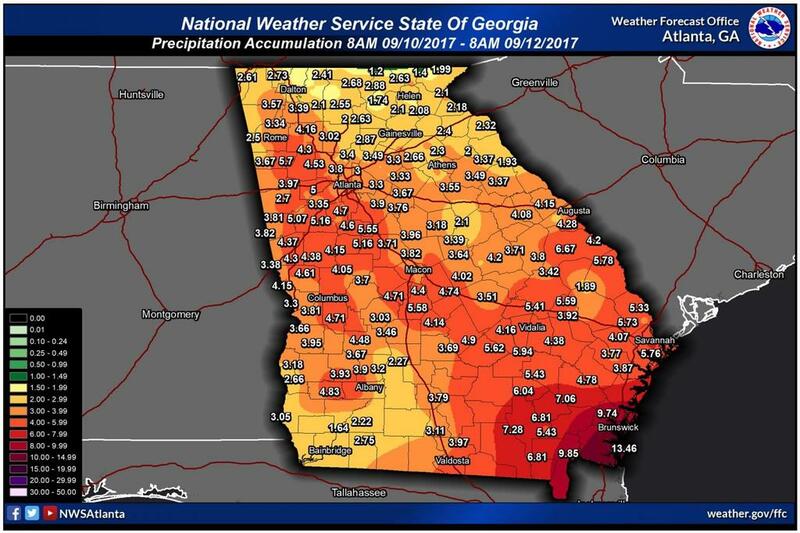 Within the NWS Atlanta/Peachtree City county warning area, winds gusted over 70 mph in portions of central Georgia on the evening of October 10th, leading to widespread tree damage and power outages as well as severe crop damage, especially to cotton and pecan crops. 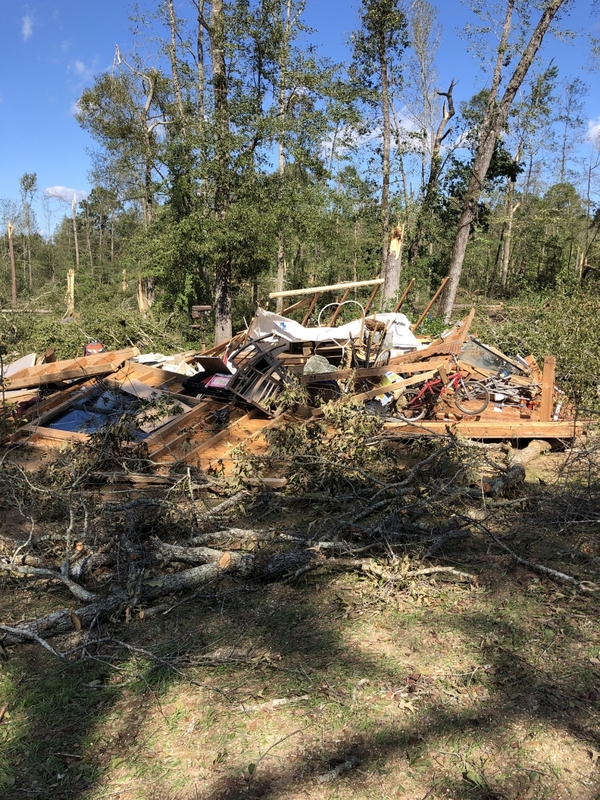 Additionally, a few brief tornadoes in the outer bands of Michael caused sporadic damage in portions of the the area while heavy rainfall led to localized flooding. Michael quickly exited the state as a tropical storm on the morning of October 11th. 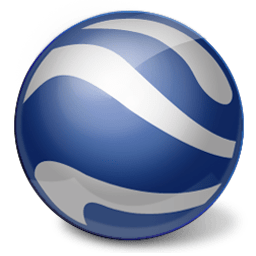 For more information on the catastrophic damage experienced within the NWS Tallahassee area, click here. This infrared satellite image was taken as Hurricane Michael entered southwest Georgia as it maintained a Category 3 intensity on the evening of October 10, 2018. 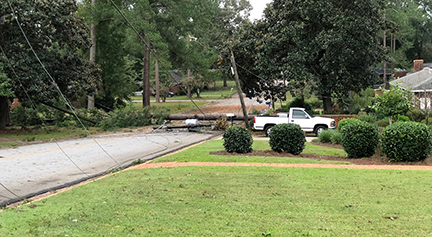 Within the portion of central Georgia in the NWS Atlanta/Peachtree City county warning area, sustained winds of 40-50 mph with gusts in the 60-75+ mph range downed countless trees and power lines. Numerous trees fell onto homes and businesses, causing additional damage. The peak wind gust officially recorded within the local warning area was in Arabi, GA where a 76 mph gust was recorded. 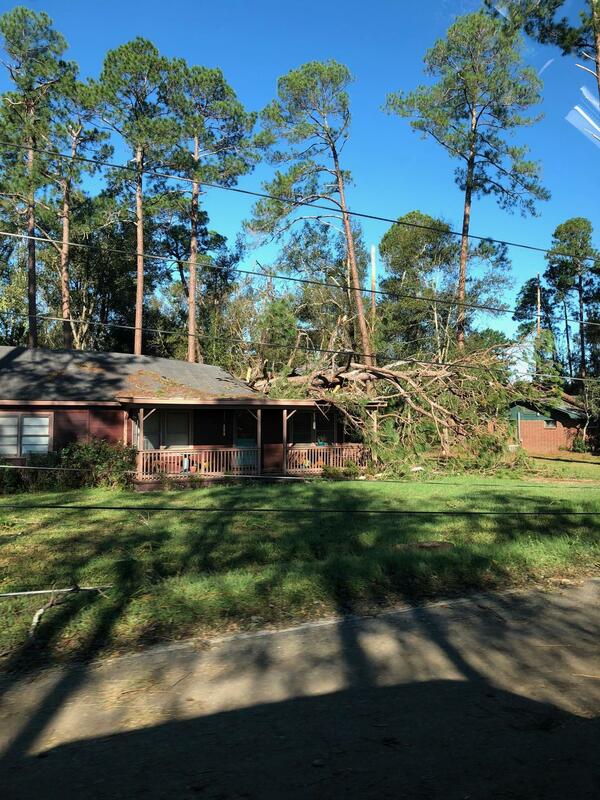 Even stronger wind gusts well over hurricane force (74+ mph) were recorded in southwest Georgia in the NWS Tallahassee county warning area. Power outages lasted up to a week or even a bit longer for some areas. Below is a map displaying many of the strong wind gusts recorded across the state during Hurricane Michael. 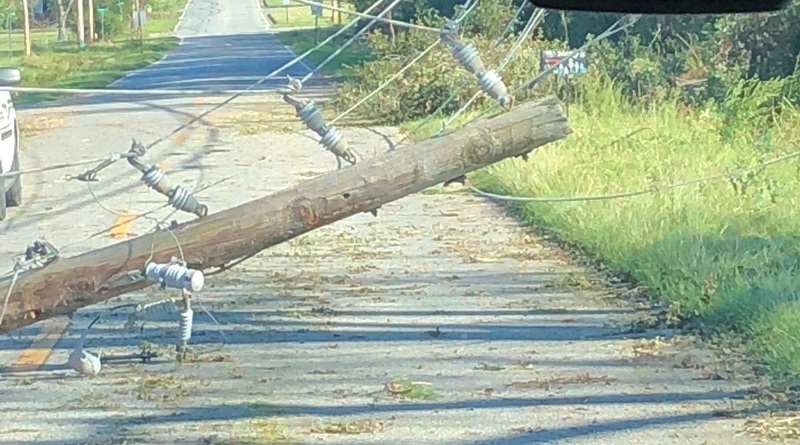 Note: Wind gusts were likely stronger than displayed for a number of locations in central and south Georgia; however, recording instruments failed as electrical power and communications were lost. 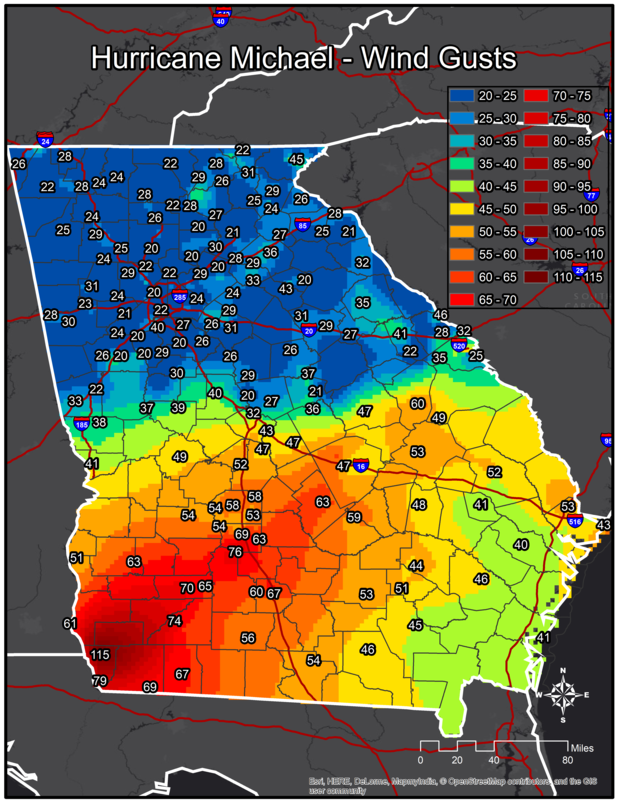 This map displays peak recorded wind gusts across Georgia during Michael. Gusts exceeded 60 mph before the instrument ceased reporting. Wind gusts exceeded 60 mph before the instrument ceased reporting. Wind gusts exceeded 50 mph before the instrument ceased reporting. Rainfall totals reached in excess of 5" in some locations. Though the ground was relatively dry due to recent dry weather, these rainfall totals led to isolated instances of flooding, including a few roads that were washed out. 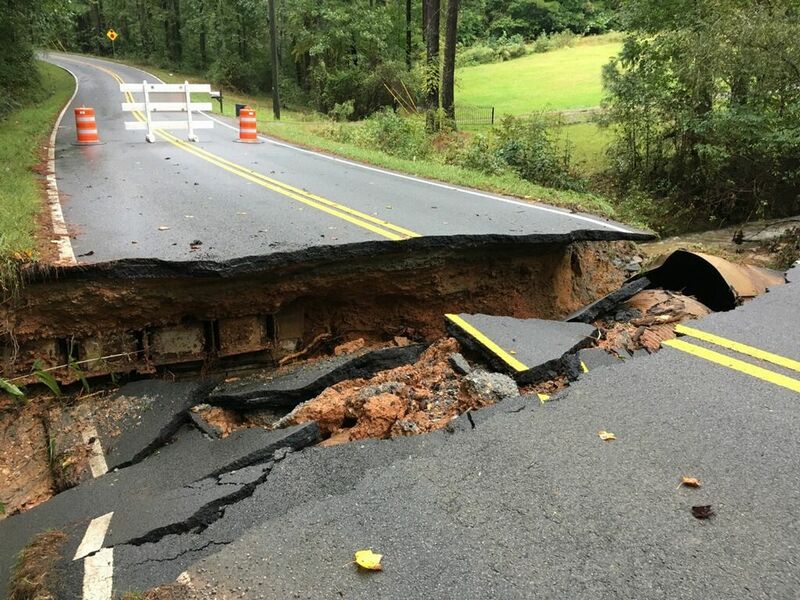 This road near Dallas in Paulding County experienced a washout due to the heavy rainfall from Michael. Three brief tornadoes touched down in the outer bands of Hurricane Michael on the evening of October 10th. See the specifics on these tornadoes below. A brief EF-0 tornado snapped a few pine trees along Carver Drive, just south of Fort Valley State University. 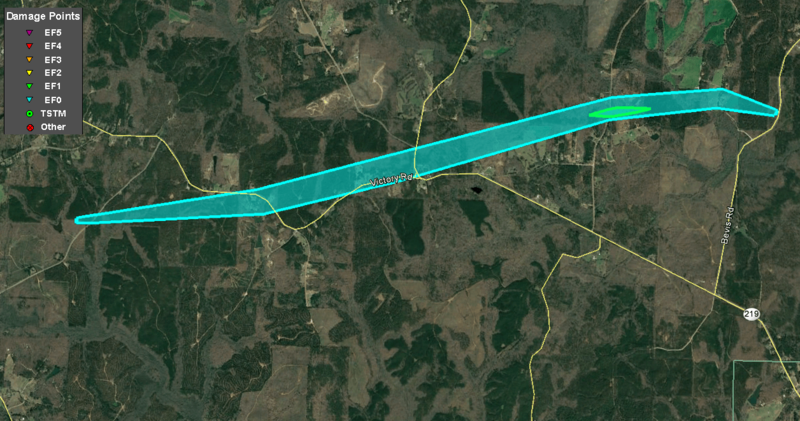 Hurricane Michael spawned a high-end EF-1 tornado in Crawford County within its outer rain bands. The tornado first touched down along Avera Road southwest of Roberta, snapping a few small trees and branches near a residence just east of the Hammett Road intersection. 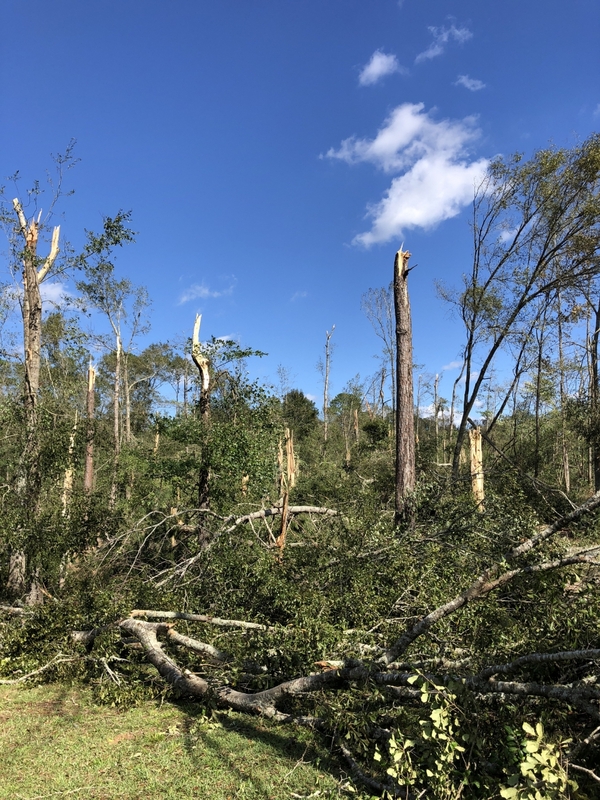 The tornado continued west-northwest, crossing Pope Road and Carroll Road, snapping and uprooting trees with the high-end EF-0 range. 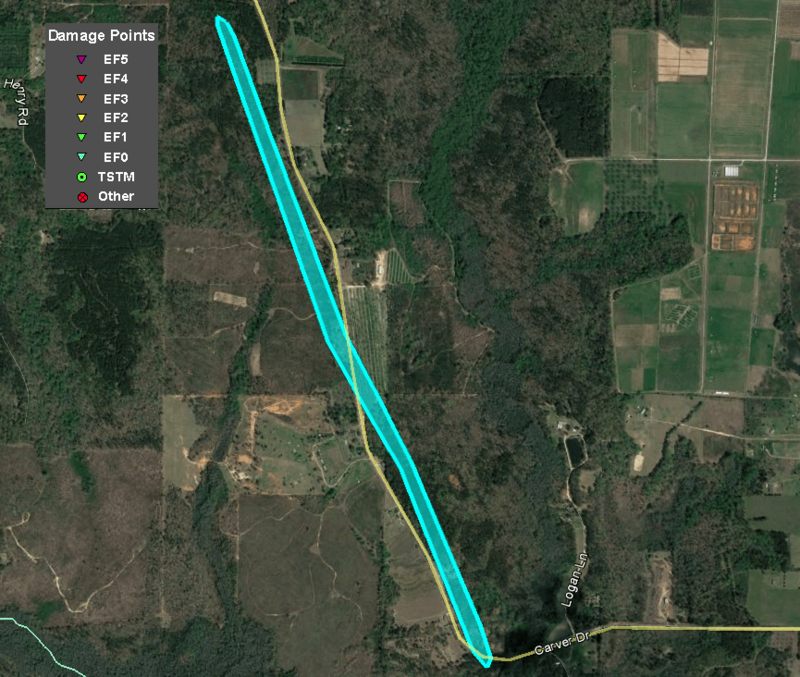 The tornado continued to move west where it intensified to a high end EF-1 with estimated maximum winds of 110 mph along Flint River Estates Road. Numerous trees were snapped from 10 to 20 feet off the ground or uprooted, including many hardwood trees. Several homes along the road were damaged by falling trees. A detached workshop at one of the homes was completely destroyed. The survey revealed that the garage was open with the opening facing the direction of the maximum winds, which led to its complete failure. The tornado continued westward, snapping trees as it crossed State Route 128 where it damaged another residence with falling trees. 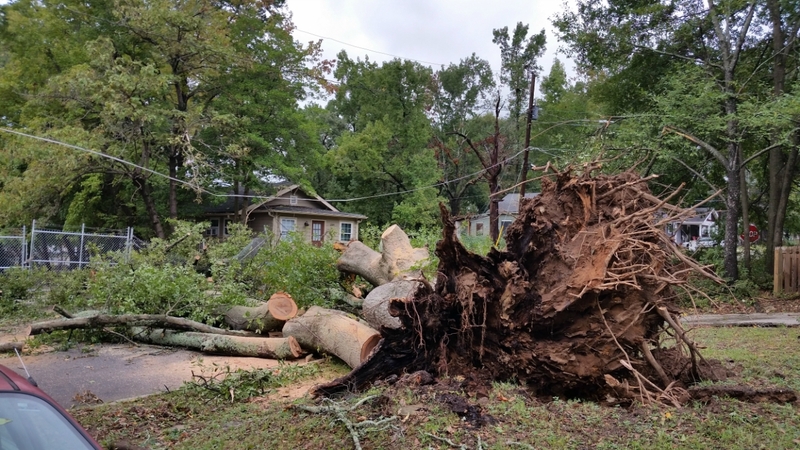 The tornado continued west, crossing Hortman Road, where a few small trees and large branches were downed before lifting as it approached Walker Chapel Road. Numerous trees were snapped or uprooted along the tornado track. This outbuilding was destroyed by the tornado. 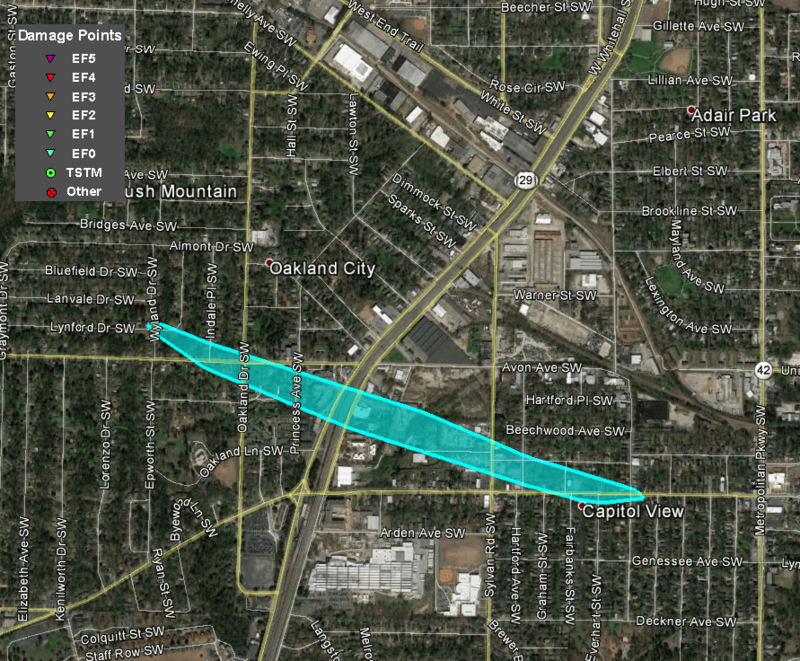 A brief tropical-cyclone tornado touched down just a couple miles southwest of downtown Atlanta along Dill Avenue SW. Along this road, several large trees were snapped. 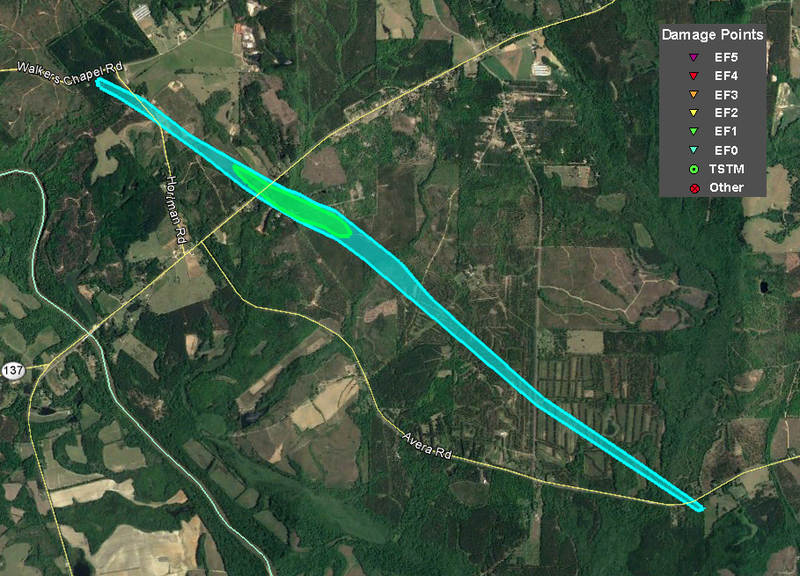 This is where a Tornado Debris Signature (TDS) was initially observed and where a peak wind of 75-80 mph was estimated. 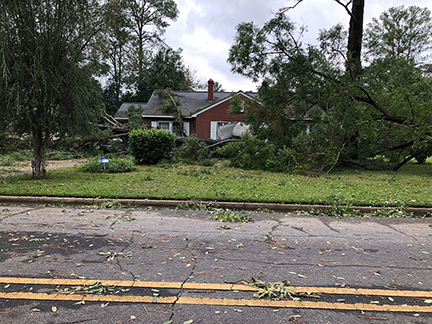 The tornado quickly crossed Highway 29 (Lee Street SW), downing several more trees along Avon Avenue SW between Princess Avenue SW and Wyland Drive SW. No further notable damage was seen downstream from this point. This large tree was downed by the tornado. This was one of several trees uprooted by the tornado.